35mm glass bottom dish, dish size 35mm, well size 20mm, #1 cover glass(0.13mm-0.16mm). Designed for high resolution imaging such as confocal microscopy. D35-20-1-N , request a free sample or get a quote. Quote: "MKN45 Cells (∼5 × 10 4 ) were then plated onto a glass bottom dish (In Vitro Scientific, D35-20–1-N), and allowed growing overnight." 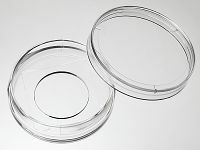 Quote: "A piece of FITC labelled and washed PC and FPC sample was placed on the 35 mm glass bottom dishes (D35-20-1-N, Cellvis, Mountain View, CA) and inundated with 50 ul of Calcofluor white for 3 min"
Quote: "3.5 cm glass-bottom dishes from In Vitro Scientific (catalog number: D35-20-1-N)." 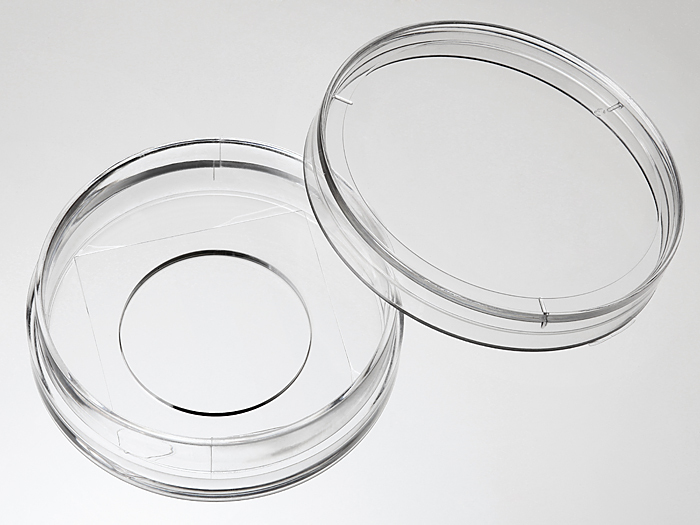 View all 15 publications citing "35 mm Glass bottom dish with 20 mm micro-well #1 cover glass".